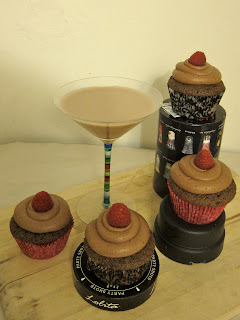 Chocolate Martini Cupcakes! Or, as I've been describing them: Choco-tini Cupcakes! 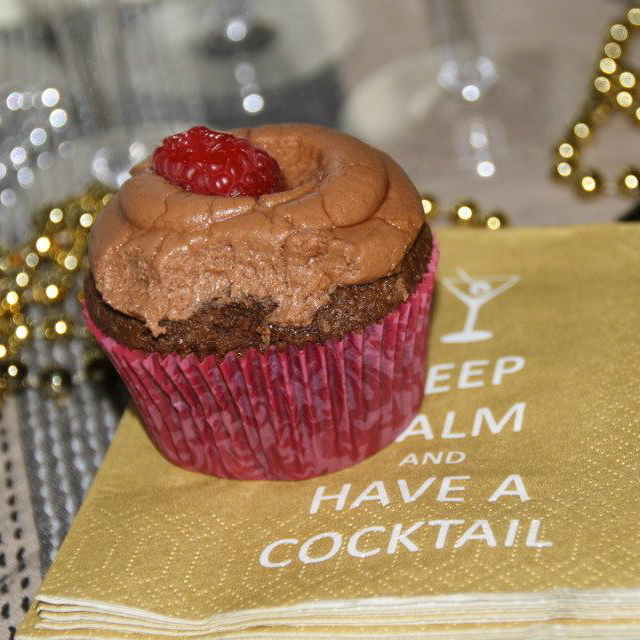 sinfully spiked and delicious! I've just got to say... if this is an indication of how the year 2013 turns out, it's off to a great start! 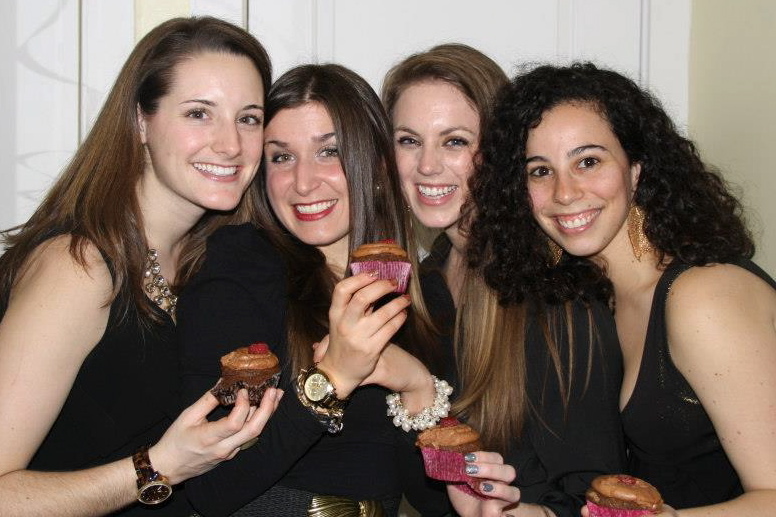 In preparation for New Year's Eve, I quickly found makeshift solutions to THREE different minor roadblocks to pull off these fabulous vodka-spiked chocolate cupcakes with enough time leftover to get showered and changed before my friend's party. HOMEMADE Chocolate Vodka — obviously, this is the most exciting! Just melt chocolate in a double broiler, mix in vodka and strain out any large bits of chocolate. BAM – Chocolate Liqueur! Fine grain sugar — I have this organic vegan-friendly sugar that I would love more if only the individual grains were finer (sugar grain size affects how the sugar dissolves in the oven, which can affect the final product quite a bit). I ground up the sugar for about 30 seconds before adding it to the mix. Problem solved! How can I create awesome, fancy and delicious treats on a budget? Specialty items get expensive and I love the idea of making these items myself! Once it's almost smooth, add vodka and mix well — don't let it boil because then you will lose all the alcohol... Definitely don't want that! Note: I didn't measure the chocolate very precisely — My end result was very thick.. Too thick for drinking, but perfect for baking. Play around according to your preferences and let me know how it goes! Any leftover syrup makes great "grown up" chocolate milk!